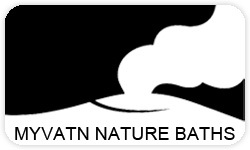 Opened on the 30th of June 2004, Myvatn Naturebaths offers something for everyone. 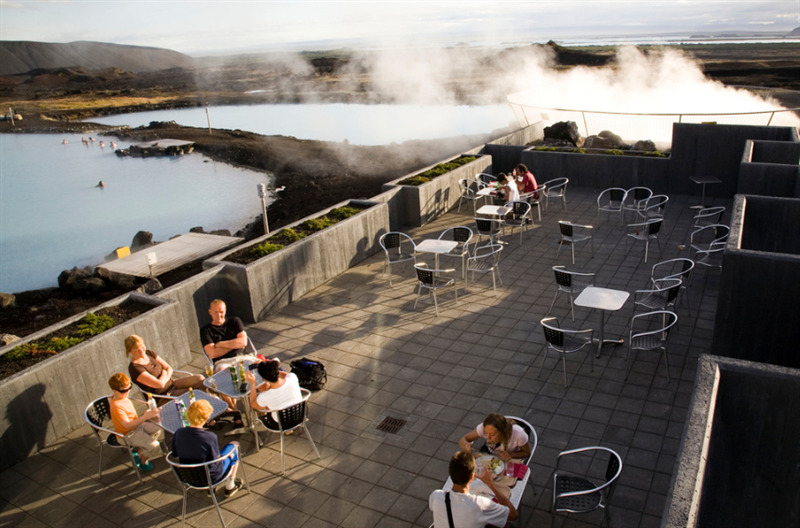 Despite its northerly location, the region enjoys a temperate climate, and the long summer days when darkness never comes can be surprisingly warm. As summer merges into autumn, the landscape becomes a panoramic patchwork dotted with shades of gold and brown, while winter brings its own tapestry of snow, sparkling frosts, and frequent opportunities to enjoy the unforgettable splendour of the Northern Lights. 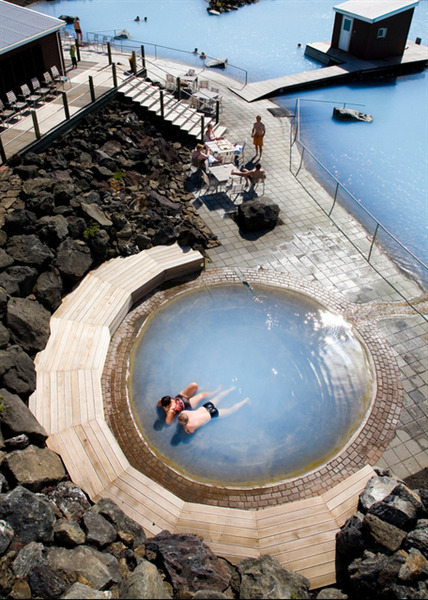 A designated nature reserve, Myvatn is an area of fragile beauty where tourist services have been developed in such a way as to cause as little disruption as possible to what is a unique and highly delicate ecosystem. 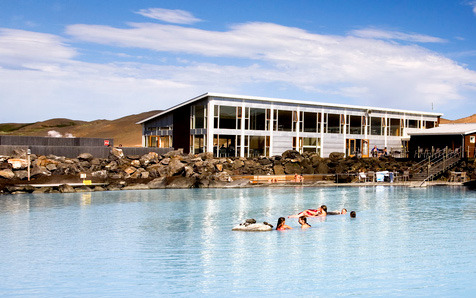 Drawing on a centuries-old tradition, the tastefully designed complex offers bathers a completely natural experience that begins with a relaxing dip amidst clouds of steam rising up from a fissure deep in the Earth´s surface, and ends with a luxurious swim in a pool of geothermal water drawn from depths of up to 2.500 metres.